Based in Berlin, Germany, David is currently building business development and live operations for GAMEVIL in Europe. An industry veteran of 15 years, he has a solid background in gaming journalism and management. 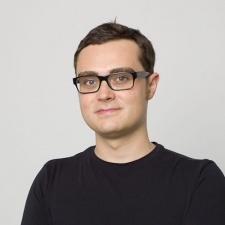 He reviewed games for Cybermedia and Heinrich Bauer Publishing, managed production and distribution for Nintendo and Playstation titles at ProSiebenSat.1 and spent the last years in user acquisition as Director Advertiser Relations at GameGenetics, before moving on to a new role at GAMEVIL. Com2us's turn-based strategy MMO game Summoners War has made over $1.3 billion in revenue across the App Store and Google Play. According to Sensor Tower, the game has consistently grossed no less than $20 million per month for the past two years. Most of Summoners War’s revenue has been generated in the US with $370 million in total, 27 per cent of all sales. The second most, in terms of player spending, comes from Japan with $277 million contributed. That figure represents 21 per cent of all revenue so far. Speaking to PocketGamer.Biz at Gamescom, Com2us European general manager David Mohr explained it has battled what could have been a decline (albeit a long and lucrative one) for a game of its age by pushing the MMO on all fronts. Along with esports, in-game events and expansions, Com2us has extended the Summoners War IP to toys, animation and comics. It partnered up with Funko to create a Funko Pop! line of products at the turn of the year, along with digital items such as emojis, digital cards and custom avatar options for its Pop! Yourself product. Months prior in November 2017 it partnered up with Skybound Entertainment to create comics and an animation based on the IP. “I think that gaming is a hit-driven business in the same way that publishing is a hit-driven business,” said Mohr. “We are very fortunate that we have a game like Summoners War that has been going strong for so long, it was top two in France yesterday and it’s a top five grossing game in Germany at the moment so it’s still going very strongly. A full interview with Mohr where we discuss Summoners War and Skylanders Ring of Heroes will be on the site soon.